So, it's Tuesday, which means it's time for some new Hero Arts digikits. Yay! 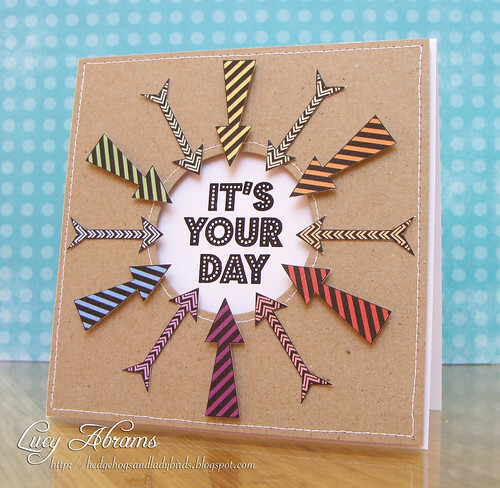 First up, a card made with two cool arrow stamps in the kit, and a sentiment from THIS set (I cut the sentiment up - a great way to get more from your stamps.) I printed the arrows onto digi papers from THIS kit. And next, a completely different card. 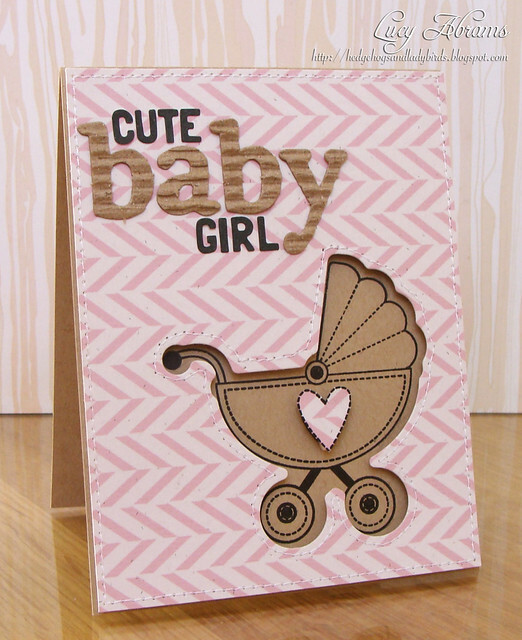 I created the pretty chevron background paper with the chevron arrow in the kit. Just recoloured it, and copied and pasted repeatedly in Word. 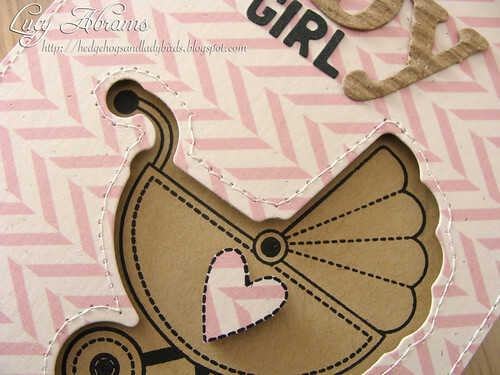 I decided to use the negative space from the Baby Motifs pram die, then stamped the pram (from THIS set) behind. The sentiment was created with stickers - THESE and THESE. More cards to share soon. Gorgeous, as always. LOVE those new arrow digi kits.